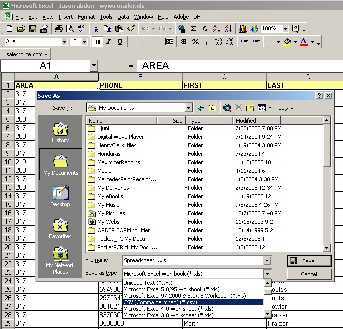 Microsoft Excel files need to be prepared for use with DoNotCallSoftware. 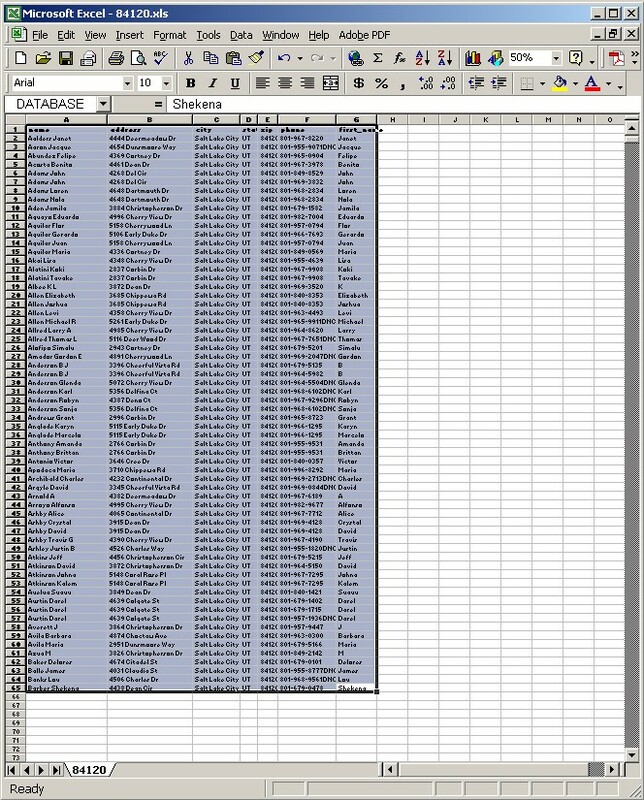 CallNot must see the Excel spreadsheet as a database, not just columns of data. Extra "blank space" should be removed. 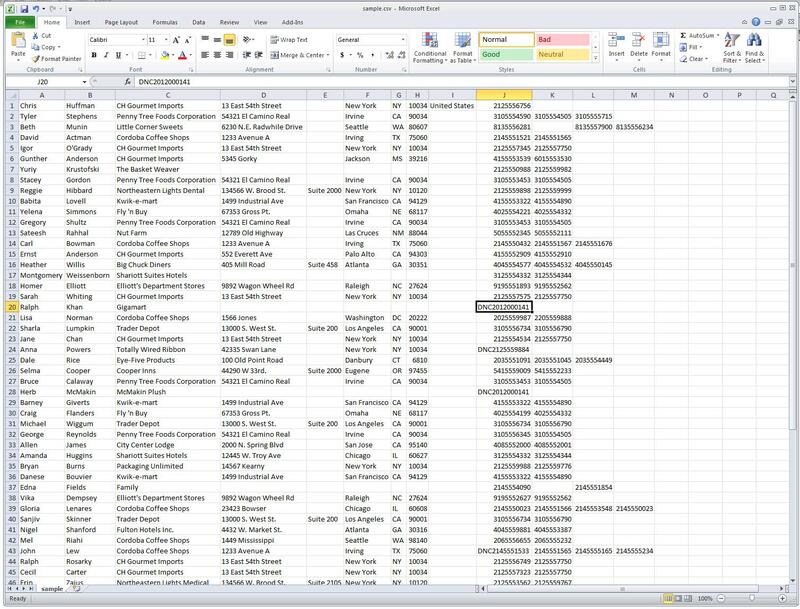 If there are extra blank columns, move your cursor to the lower left of the actual data. Press Ctrl+Shift+Home to highlight to the top left. 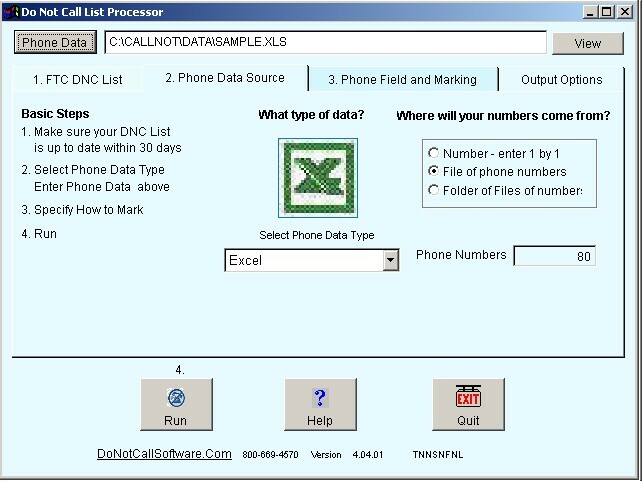 Select the Range Name box name it "DATABASE"
Select this area, and define it as "DATABASE"
Widen the column containing the Phone field, if you want to mark with "DNC"
6. Get rid of all "Blank Space" to the right and below your data. This Blank Space can cause problems because it causes the Do Not Call Software to think that there are more columns than there actually are. It also causes the software to think that there are more rows to process than there actually are. 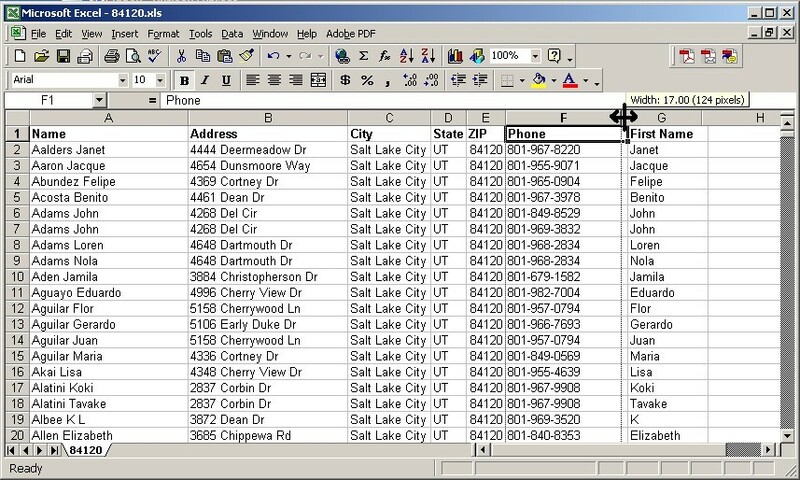 Any files saved from the Excel spreadsheet, such as Comma Separated Value (CSV) or dBase Files (DBF) will also have these blank rows. A. 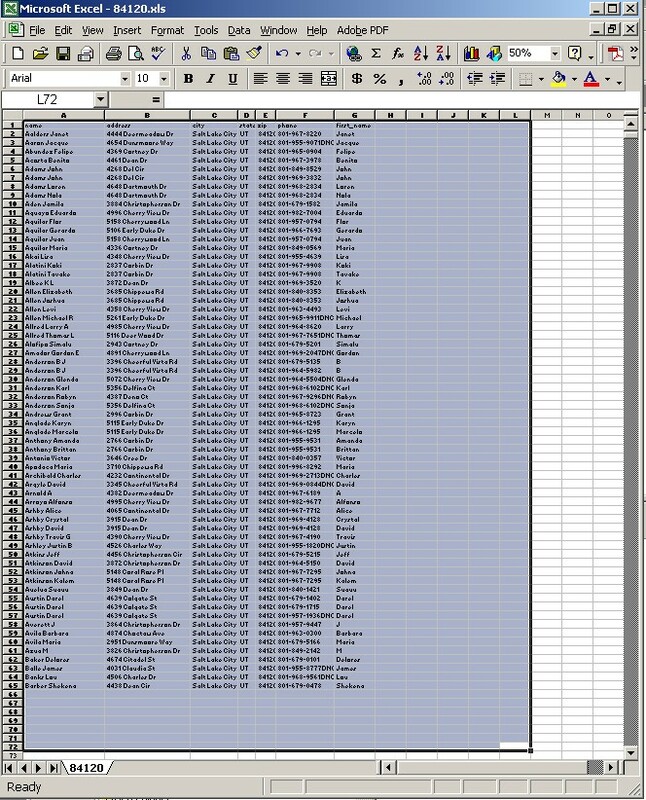 First select all the columns to the right that you do not need, in this example columns H through L.
C. Now, do the same for the rows you do not need, by selecting Rows from 66 though 72. It does not hurt to select more rows, from 66 down through 65536. D. Select Edit, Delete, which will delete those rows. F. You can now test with Ctrl+End to see that the lower right corner is as far as there is data. Sometimes the Comma Separated Value (CSV) format is better for Do Not Call processing.